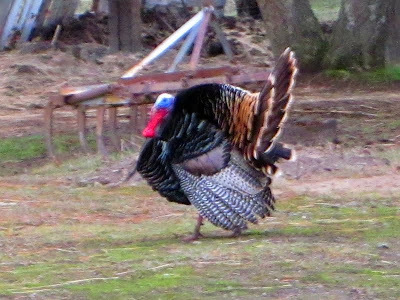 It's spring, when a young gobbler's fancy turns lightly to thoughts of love. Or at least lust. Some of these photos were taken through a rather dirty glass window, so sorry for the photographic flaws. 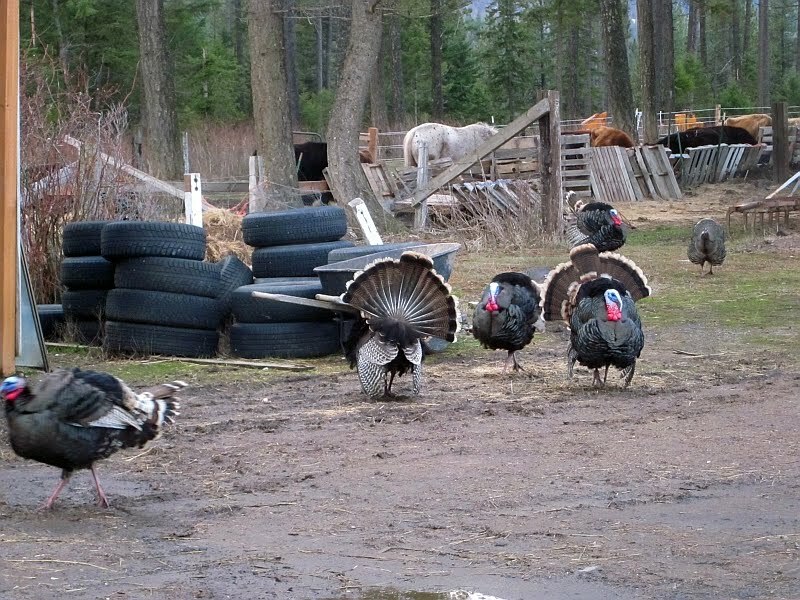 I was trying to disturb the turkeys as little as possible. ...who, let's face it, were monumentally unimpressed. Gobblers in this pose always remind me of Spanish grandees, puffed up with ego as well as testosterone. 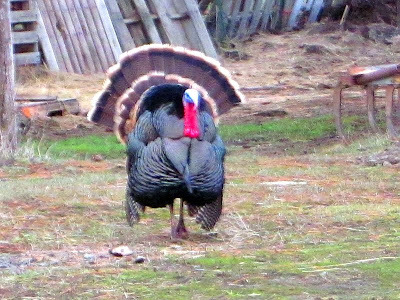 Ben Franklin thought the eagle was a dandified vulture and wanted the turkey as our national bird. I wonder why Franklin liked the turkey better. Flavor perhaps? Thank you for the magnificent photos. What grand looking creatures. I have been enjoying your blog for some time now and try to check daily. Great photo blog. 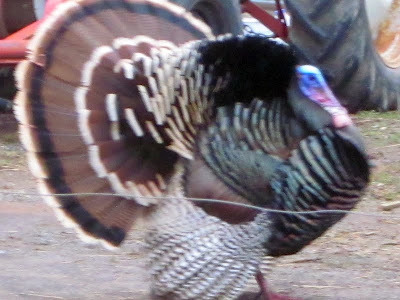 My turkey hunter loved it. We have plenty in the NC mountains! Oh my goodness, I'm having flashbacks of my first 7th grade dance (about a 100 years ago). You say the ladies were unimpressed by the males. I know a lady anthropolgist who is also the daughter, husband, mother, grandmother,and mother-in-law of multitudinous warriors who assures me that the ladies merely protend to be unimpressed by the males "displays of egotism". She says the ladies love it. They (ladies) merely pretend to be unimpressed - that's a fun part of the game. (BTW - we have been married for 56 years). We have them by us too. 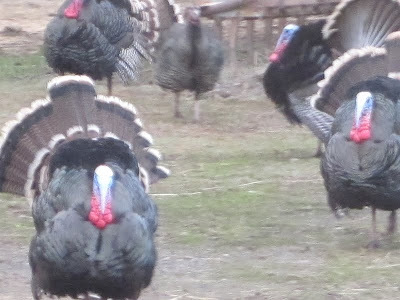 The ladies do seem to ignore the handsome toms, but soon afterwards, we see the mammas with their little babies. They are just so darn cute to watch! 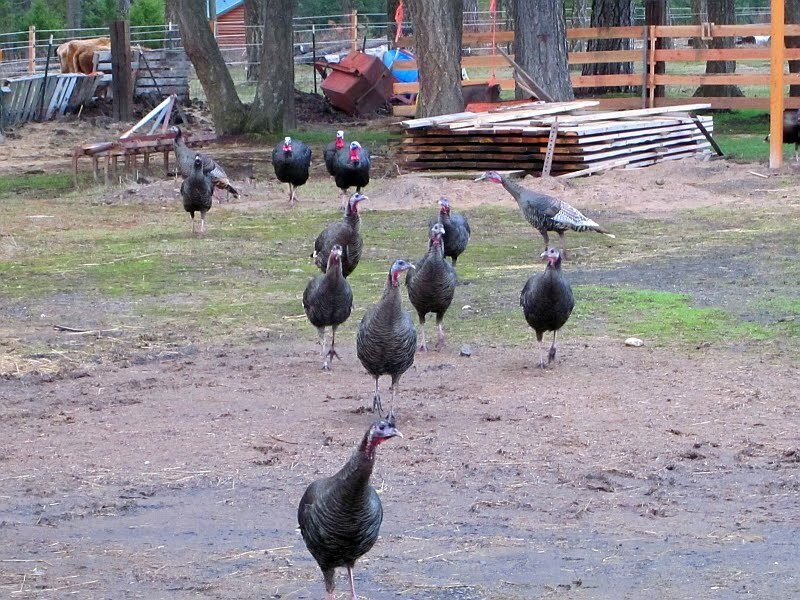 They hang around the chicken coop looking for some stray feed. 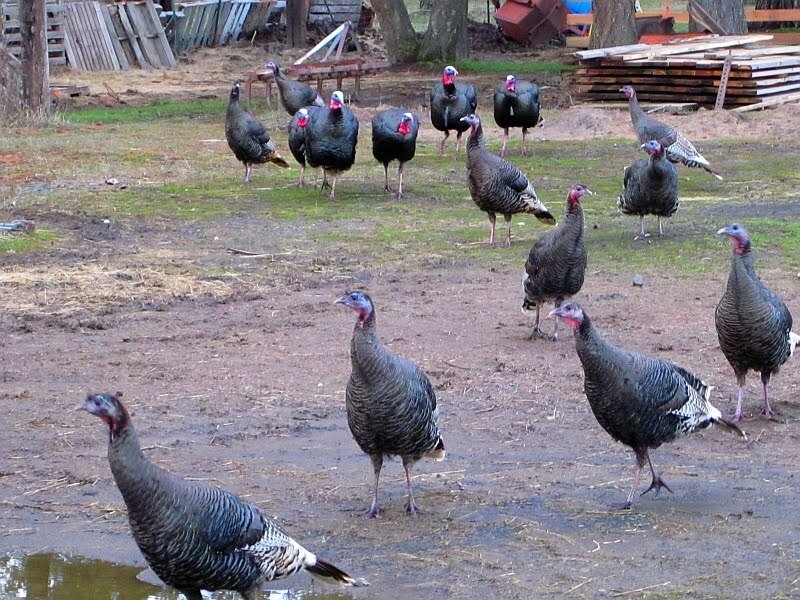 My roo, Charlie, puts up such a racket that the hens join in - I always know when the turkeys are here! 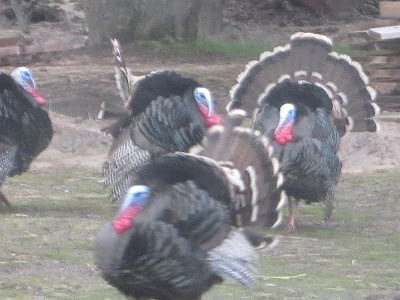 sometimes if we are lucky we get to see the turkeys and their fluffing along the natchez trace parkway in northeast mississippi....it is quite a show for such a stupid bird...and they are pretty stupid actually. but they are pretty while strutting. really very nice, but not very down-to-earth for your everyday business man or woman, unless of itinerary you are Donald Trump. my wife found a very high quality briefcase at Roadblock.